l) Casting: allowances, Riser Design, Sprue Design, Pouring time calculations, Special Castings, Casting Defects. Please follow the step by step procedure given below for preparing GATE where only objective type questions are asked. I found that in all competitive examinations similar type of questions are asked. They are similar but not the same. The questions are not repeated but the theory (Funda) which is needed to solve the question remains same. So you don’t need to remember the questions and answers but you must remember the funda behind it. 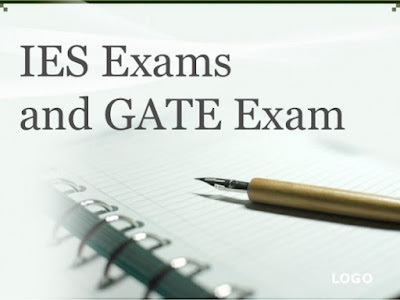 GATE papers are set by Professors of IITs and they check student’s fundamentals of the subject. So we must be prepared with fundamentals. That’s why funda is repeated. You know that in the engineering books are not made for objective type questions. The theory involves rigorous derivations, enormous calculations etc and our University examinations are also conventional type. Paste the topic list in front of study table, tick mark the topics completed by you (class note + all questions from question set) on daily basis. One tick when topic is completed once, then second tick after the second revision, and so on. Topic list should contain as many tick marks as many times revision for a particular topic is completed. that formulae can be remembered on the long run. From the question set solve all previous year asked questions which are given in topic wise sequence. It is recommended to solve my question set on your own and then cross check with my explanations. Meticulously read book only of the topics mentioned in topic list. It is recommended to solve my question set on your own and cross check with my explanations. To get the file, download the Important Topics for GATE Mechanical, Guidelines, Coaching and Preparation PDF.